Paula’s Choice Lip Perfecting Gentle Scrub – Is It Right For You? 25 Aug Paula’s Choice Lip Perfecting Gentle Scrub – Is It Right For You? Paula’s Choice Lip Perfecting Gentle Scrub is meant to cleanse the lips of dead skin. After exfoliating, the cream-based scrub will moisturize to flatten the layers of skin in your lips. This will prepare you to effectively apply lip balms, lip glosses, and lipsticks. The scrub is made of a rich, organic cream and microbeads which work together to improve the shape and health of your lips. First thoroughly clean your hands and lips, removing any dirt or makeup. BE AWARE – you will not see your ideal results if you already have other products on your lips. Any cosmetics will prevent Paula’s Choice Lip Perfecting Gentle Scrub from sinking into your skin. Paula’s Choice Lip Perfecting Gentle Scrub is made up of a very few ingredients. All are sourced naturally and this product is formulated to target your dehydrated, chapped lips. The first, and most important ingredient is water, which is what helps boost and heal your lips. Vegetable-extracted glycerin which draws moisture into the top layers of tissues. Cellulose gum helps protect your lips like a shield. Shea Butter is one of the most common and effective moisturizers on the market. This product also contains phenoxyethanol which is a common cosmetic additive. You may have recognized many or all of the ingredients listed in the previous section of this review. That is because they are all natural and well-known ingredients. You can take this as an assurance that this product is safe, organic, and works. These ingredients have stood the test of the cosmetics industry and become staples across the board. Another aspect of this product that is superior to some others is the rapid application. It takes less than a minute to apply Paula’s Choice Lip Perfecting Gentle Scrub. And results are just as quick! Many people say that this scrub provided results on the first days of application. Other said it took a week or two–still quicker than many other, slower products! The biggest downside of this product is the use of microbeads. 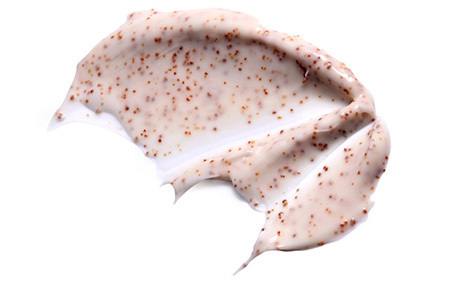 Microbeads have not been proven to be suitable for the environment, and were even prohibited by the Illinois legislature. This Paula’s Choice Lip Perfecting Gentle Scrub is definitely a highly effective treatment for damaged, crackled lips. It is widely praised by internet reviewers and priced cheaply. The only downside is the microbeads, which are a surprising oversight for such an earth-conscious product.